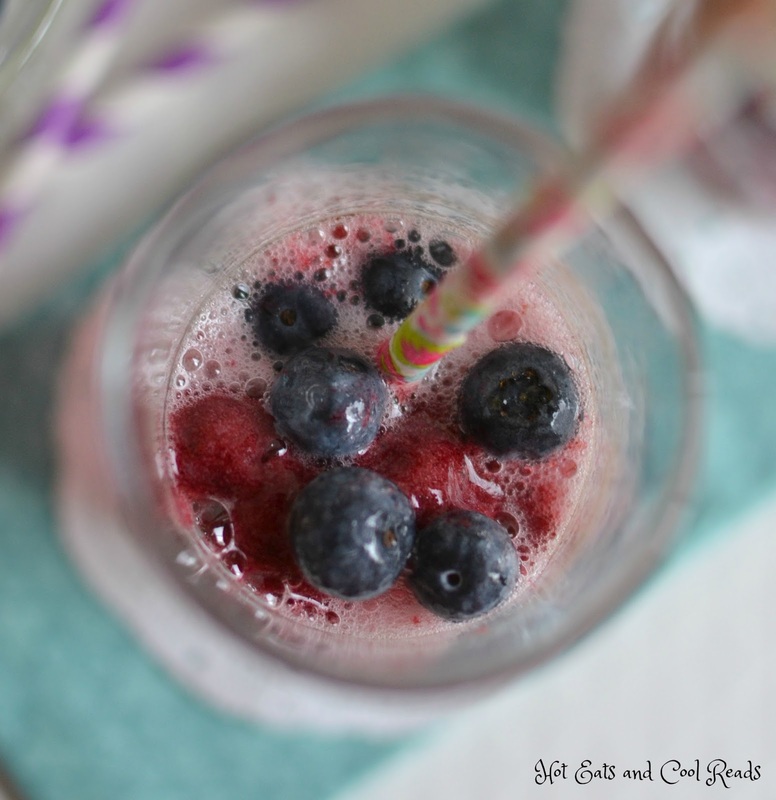 A refreshing and delicious non alcoholic beverage that the whole family can enjoy! Perfect for hot days, or serve at your next party! Even the kiddos birthday parties! 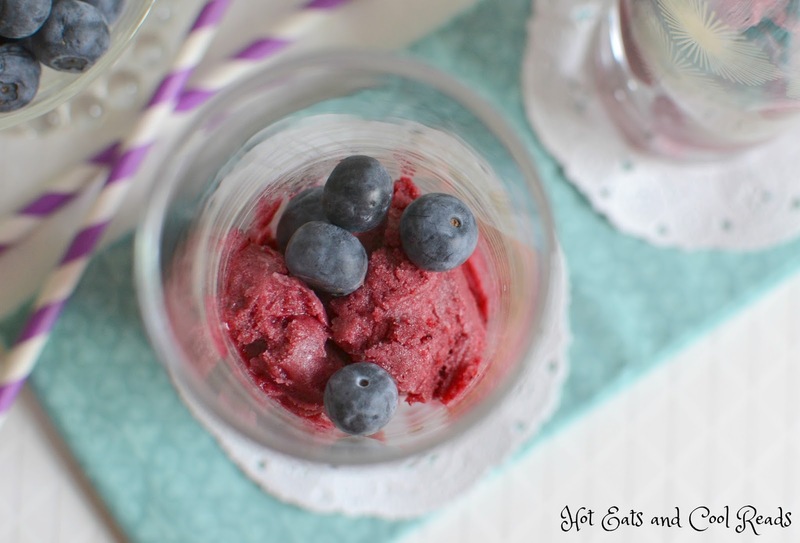 Remember that Blueberry Rhubarb Sorbet I made last month?? 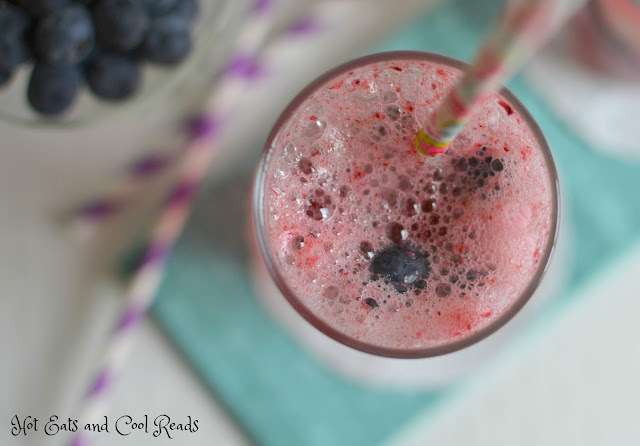 Today's recipe uses that, along with some fresh fruit and lemon lime soda for an amazing, kid friendly beverage! Although, this beverage isn't just for kids! Mama's love it too! 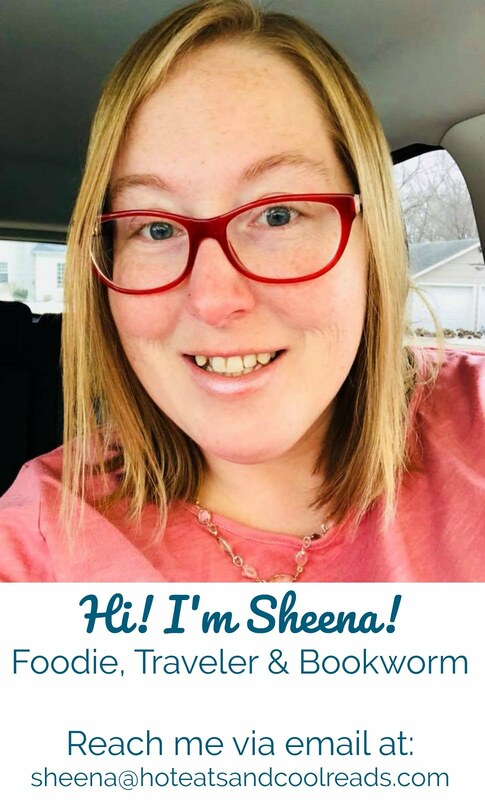 Especially this Mama! 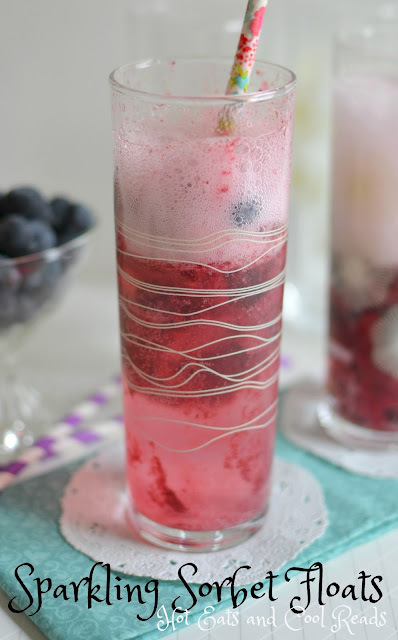 If you prefer to make this a "Mama's gotta relax and chill" kind of drink, use sparkling wine, especially moscato in place of the lemon lime soda. It's pretty much perfection, trust me on this! If you don't have homemade sorbet, head straight to your local grocery store and buy some asap! Make sure to also purchase the fresh fruit that pairs well with your flavor of sorbet, because the fruit just makes it that much better! I mixed mine up, carried it to the porch and read my book while sipping. It's refreshing, delicious and keeps you cool on a hot day. Speaking of hot days, we had temps close to 100 degrees the last couple days. I'm a true Minnesota girl and LOVE our cooler weather. Days like this I try to stay inside as much as possible and enjoy my air conditioning! Today that wasn't happening though. We had a "meet your neighbor's" BBQ at the local non-profit I work at! Even though it was sweltering and humid outside, one of the local radio stations grilled hot dogs, served chips and cool beverages! 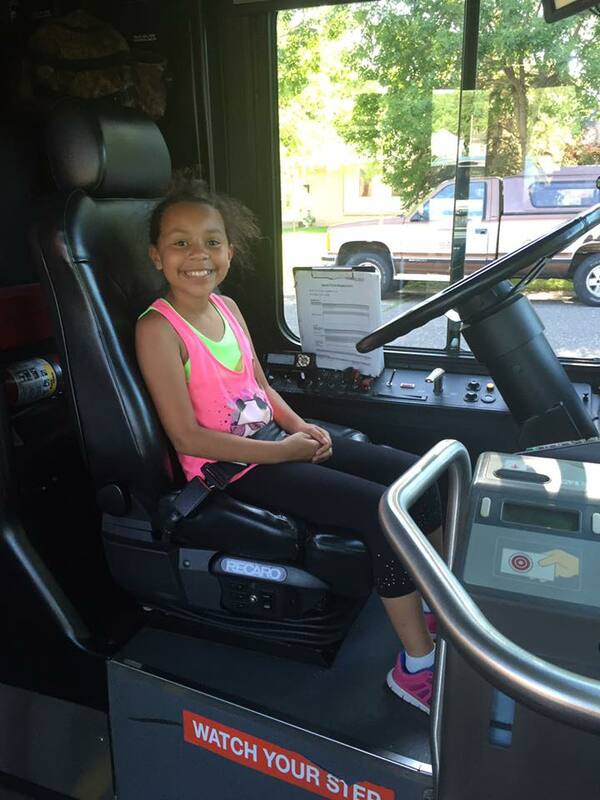 There was also a bounce house, police officer to meet the kids, fire truck, Metro Bus and prizes! It was such a great time and my daughter had so much fun pretending to drive one of our many city buses! I love events like this! Meeting people, good food and enjoying summer is always the best! This weekend it's supposed to be a little cooler outside, so we will be building a stone patio in our backyard! I bought my house through Habitat for Humanity 2 1/2 years ago, and little by little we are making improvements to the yard that was bare when we first started! I have cherry bushes and trees, apple trees and a little garden with tomatoes, green beans, cucumbers, peppers and watermelon! The patio will be a great addition and I can't wait to enjoy some nights outside around the fire! If all is completed, I will have some photos for you next week! Have you made floats with sorbet before instead of ice cream? If so, what's your favorite flavor? Thanks SO much for stopping by today! Enjoy and have a fabulous weekend! Fill glass 1/2 full with sorbet. Add 1/8 cup fresh fruit. Top with lemon lime soda and serve immediately. I love that the kids can enjoy this too! I love sparkling drinks! This is so pretty! 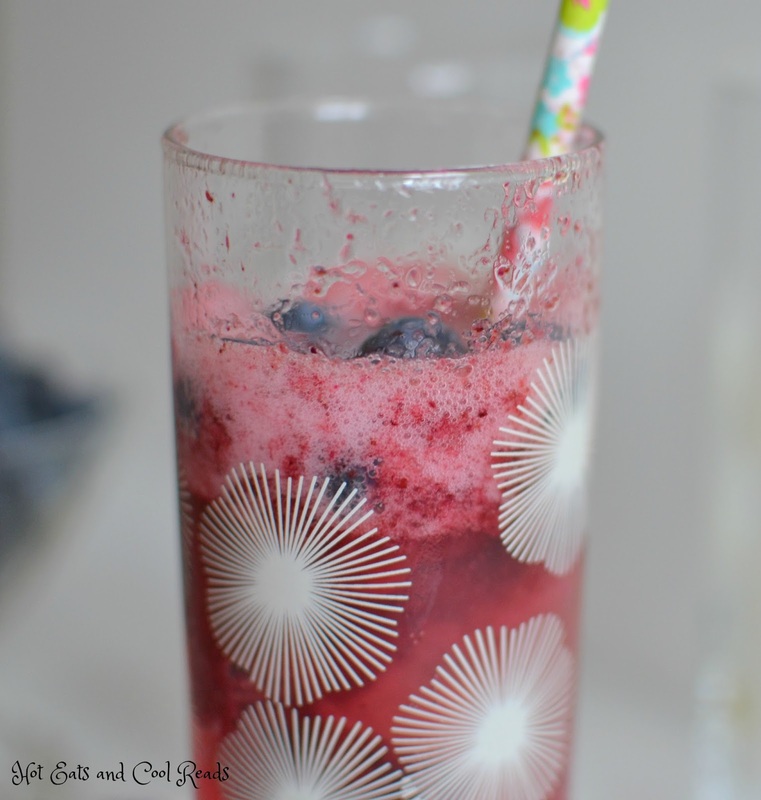 I love making sorbet floats with wine! :) But I love your kid friendly version here. My daughter would love this! This looks so delicious and refreshing -- our heat wave here as been awful all week! What a beautiful treat for hot summer days! 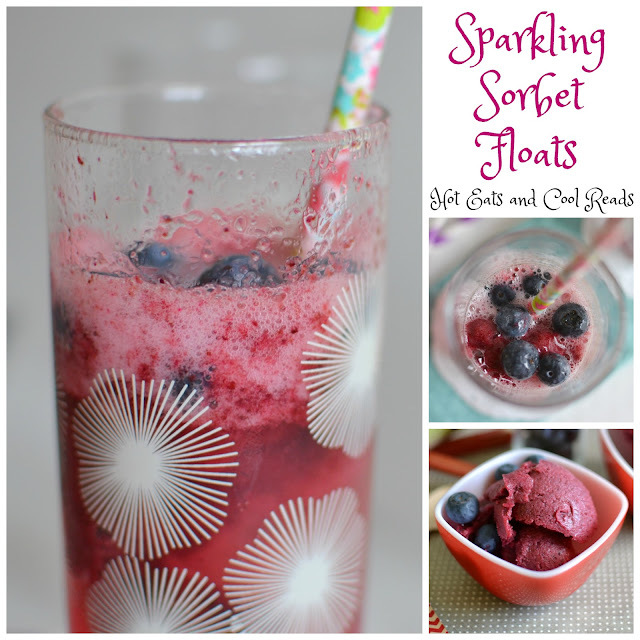 Your daughter is a real cutie, and your sparkling sorbet float looks cool and refreshing! These sound so yummy! Perfect for a hot day. We love sorbet so this will definitely be a great spin. 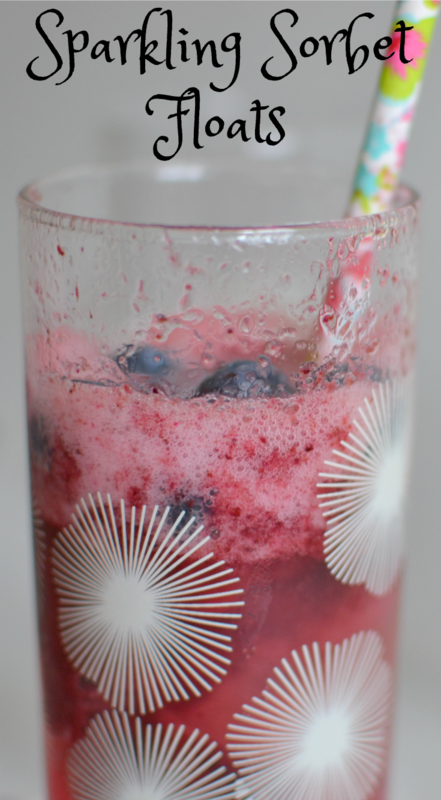 This is the perfect refreshing drink for a hot night. And I love the sound of that rhubarb sorbet!